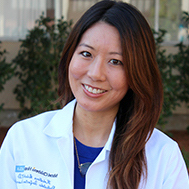 Kristina Adachi, MD, the study’s lead author and a clinical instructor in the division of infectious diseases at the University of California, Los Angeles, Department of Pediatrics, said previous research has linked HIV infection in infants with CMV risk. However, she told MD Magazine® the new study is notable because it was able to break down the risk of contracting cytomegalovirus based on the time of infection, separating out infants who acquire HIV in utero from those who acquire it during delivery. In the former category, the risk of cytomegalovirus was 23%. Overall, infants who were infected with HIV either during the pregnancy or at birth had an 18% chance of acquiring HIV, according to the research. Infants who were exposed to HIV but did not contract the virus had a 4.9% risk of CMV. The data were based on 992 urine samples from infants who were exposed to or infected with HIV. The samples came from patients enrolled in the National Institute of Child Health and Human Development HIV Prevention Trials Network 040 parent study. The women in the study were diagnosed with HIV at the time they delivered their children, thus, none of the patients had been taking antiretroviral drugs. It is therefore unclear what impact, if any, ART could have on CMV risk. Infants infected with cytomegalovirus are most often asymptomatic, although even in those cases the virus can lead to hearing problems or developmental delay, Adachi said. A small percentage of infants with congenital CMV present with symptoms at birth, which can include brain, eye, liver, or spleen abnormalities, microcephaly, rashes, or other symptoms. Adachi said infants who are positive for both HIV and CMV are more likely than HIV-uninfected infants to have symptomatic CMV. “We also know that infants with weakened immune systems from HIV or other causes may also be more at risk for having disseminated CMV infection, which can affect the lung, eyes, central nervous system, intestines, liver, and other organs,” she said. Adachi said her research underscores the importance of screening HIV-exposed infants for cytomegalovirus. She said screenings would make it possible to more quickly identify infants with CMV, which would enable healthcare professionals to begin treatment more quickly and refer patients to specialists for follow-up care without delay. Adachi said less is known about CMV-infected infants who are exposed to, but not infected with, HIV. However, she said it’s possible those infants are also at a higher risk of symptomatic CMV or progression of CMV. The study, “Congenital Cytomegalovirus and HIV Perinatal Transmission,” was published in The Pediatric Infectious Disease Journal.